Detailing the physical features, habits, territorial reach and other identifying qualities of the Periodical Cicada. 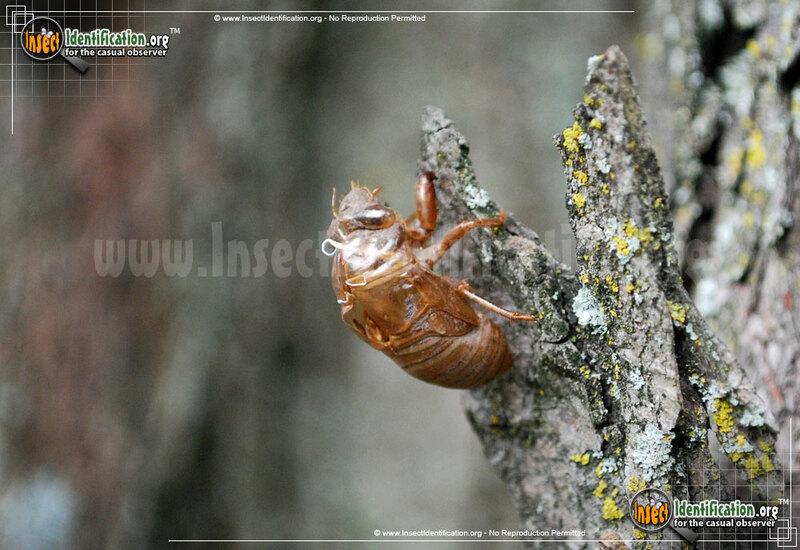 The 17-year Periodical Cicada is both seen and heard every cycle of massive population explosion. The Periodical Cicada is generally more well known in the Midwest as the Seventeen-Year Cicada due to their periodical emergence every thirteen or seventeen years. 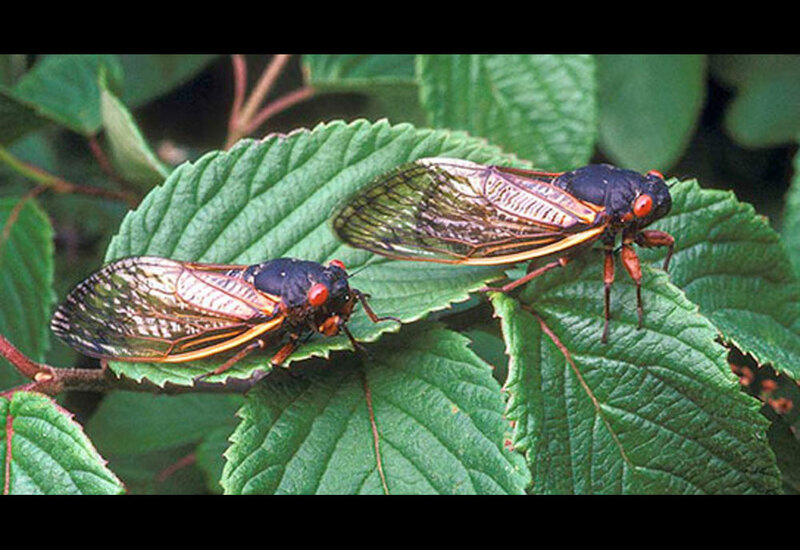 Cicadas during this time can appear in the hundreds, if not thousands, as mating season commences. 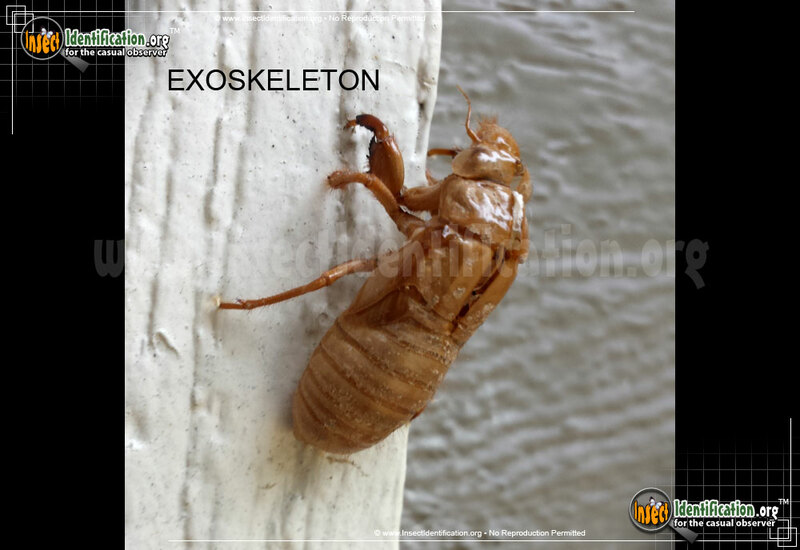 These collections - called broods - leave behind many molted, brown, crunchy exoskeleton body shells on window screens, fence posts, tree trunks, plant stems, and anywhere else they can stand. Long pulses of high-pitched screeching calls are produced by the males in search of female partners. Different species of cicada produce their own distinct sound. The adult life spans is somewhat short, so reproduction is the main focus of all their energy once cicadas mature into adults. Periodical Cicadas are large, chunky insects with bulging eyes on the sides of their heads. They are slow fliers and easy to catch by birds and other flying insects like wasps. Their abundance in the years that their population explodes means an easy feast for all of their predators. They have no personal defense against a predator save being one of 1,000s - a neighboring cicada may be more appetizing and convenient to catch. Though cicadas are generally found in forested areas and grasslands, the species can become a common sight (and sound) in residential neighborhoods during the summer. Folks from the Mississippi River basin to the eastern United States and Canada are pretty familiar with the Periodical Cicada. While they are completely harmless, large numbers of them can become a nuisance to some people, covering cars and driveways, making it 'uncomfortable' to walk outside or drive on the crunchy insects (brings to mind the buggy cave scene in "Indiana Jones: Temple of Doom"). Females insert eggs into a tree branch or bark and the hatched nymphs eventually make their way down the tree into the ground. They burrow underground near the tree's root system. Total maturity time of the nymph is about 13 to 17 years (hence 'periodical'). They eventually resurface after almost 2 decades beneath the surface and begin molting its early exoskeleton. There are always a few that develop a year or two before or after the masses, so it is possible to see at least a handful in 'off' years.